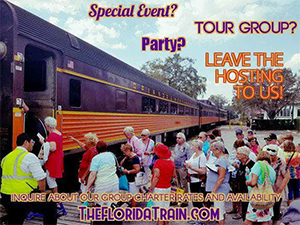 We offer opportunities to charter one of our trains for your group or corporate outing. Its a great way to have a private experience aboard a vintage train ride.We do offer group tickets form all of our scheduled trains and special events. To inquire about chartering one of our trains and for group sales please contact our group sales agents.